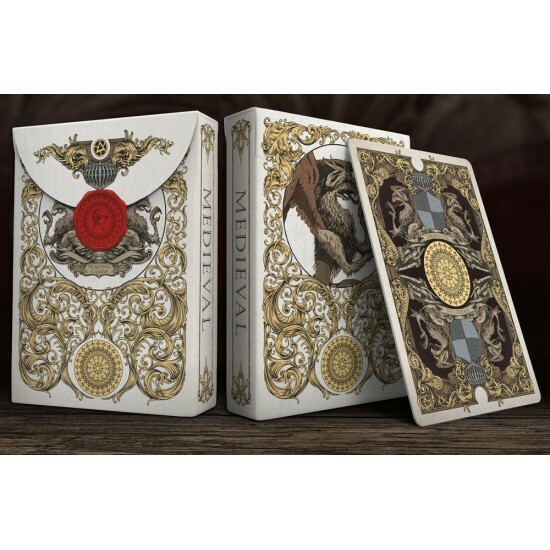 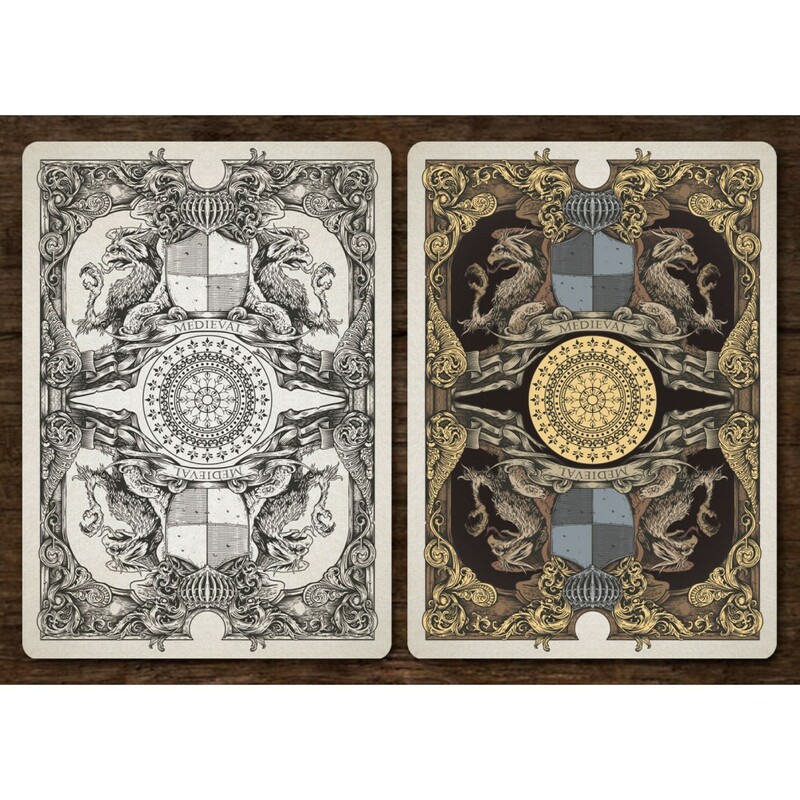 "Medieval" Playing Card Deck by Anomaly World Studio. 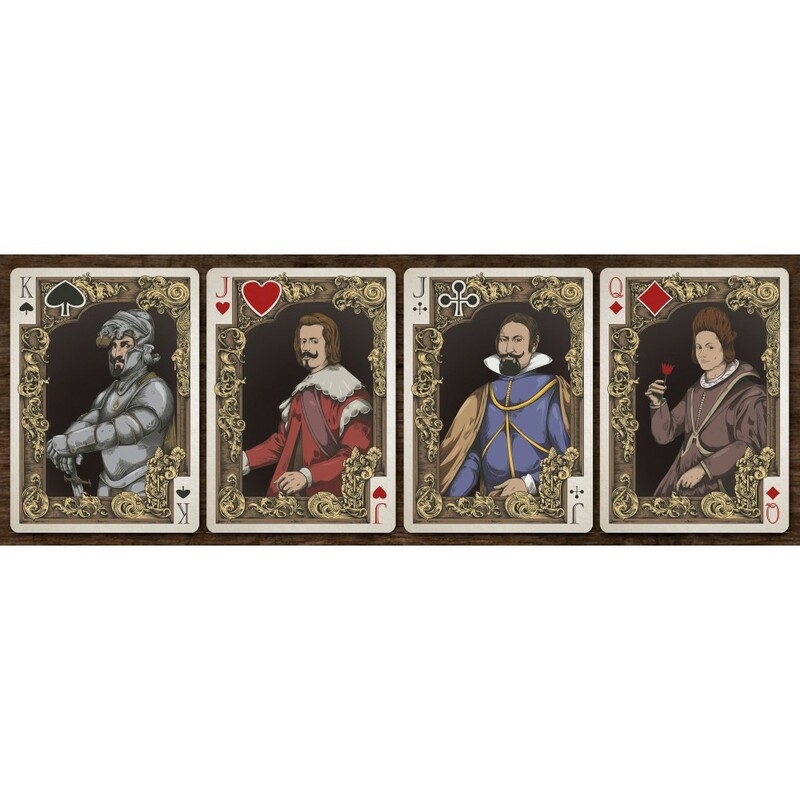 54 amazing hand drawn cards inspired by medieval lords and castles, Queens and knights. 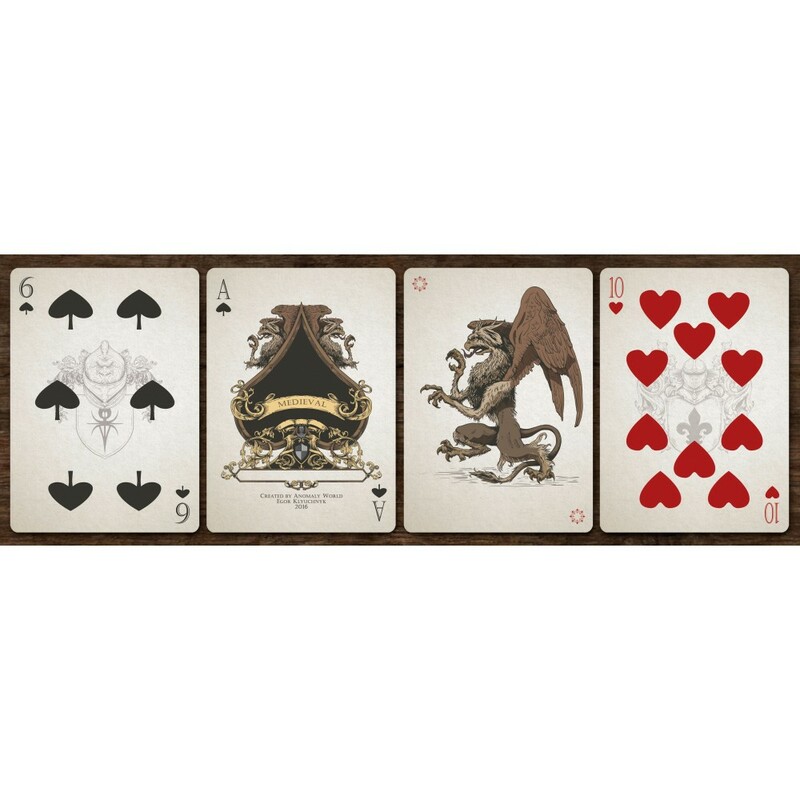 Printed by LPCC (Legends playing card company). The limited it is a full-color version of the unlimited Silver edition deck with heaps of character.